Development ethics is an area of applied ethics that attempts to explore the moral issues involved in global social and economic transformation. Key to the urgency of the field is the fact of massive global poverty, hunger, and inequality. The current situation of the world's poor -- in Egypt, India, Mexico, Sudan, or Brazil, for example -- is entirely unacceptable from a human point of view. And governments, organizations, and individuals have positive moral obligations to work towards reducing these forms of massive suffering, and helping construct social and economic institutions that systematically reduce poverty. So much is clear from the 60,000 foot level. But how much more specificity can we provide about the bad of poverty, the principles of global justice, or the goals of development, so that moral theory can provide something of a guide to policy and action? To what extent can we usefully connect moral theory to the practical challenges of designing workable development strategies? Philosophers and social scientists have made a series of efforts at formulating a foundation for development ethics since the end of World War II. 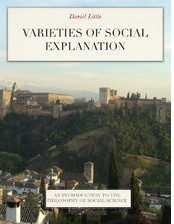 Early contributors were Denis Goulet (Development Ethics: A Guide to Theory and Practice ) and Robert Chambers (Rural Development: Putting the last first). But the major progress in the field occurred through the writings of Amartya Sen and Martha Nussbaum, in the formulation of the "capabilities approach" to development. Sen argued that the fundamental goal of development should be to create social and economic institutions within which every individual is enabled to fulfill his/her capabilities and to realize the functionings of a full human life (Development as Freedom ). And Nussbaum extended this idea with particular emphasis on the ways in which gender inequalities in development have deeply harmed women in the developing world (Women and Human Development ). There is now a third generation of thinking in the field of development ethics, well represented by David Crocker's excellent recent book, Ethics of Global Development: Agency, Capability, and Deliberative Democracy . (Other important examples include Sabina Alkire, Valuing Freedoms: Sen's Capability Approach and Poverty Reduction and Bina Agarwal, A Field of One's Own: Gender and Land Rights in South Asia .) Crocker has been actively involved in the formulation of theories of development ethics for decades, and is the founder of the International Development Ethics Association (IDEA). This is an important forum for philosophers and practitioners to come together to discuss the ethical issues of development. Crocker has been an exponent of the capabilities approach throughout his career, and has succeeded in deepening the debate by insisting on the importance of bringing the moral theories into direct engagement with the realities and practices of development. So what does this emphasis on agency and democracy involve? Here is a concrete example: Indian economist V. K. Ramachandran's description of how the development process works in West Bengal and Kerala. Here and elsewhere in the interview Ramachandran describes a process through which the West Bengal development agencies conduct their work. 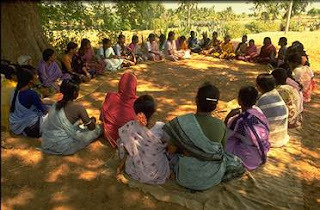 They consult broadly with social groups, labor organizations, feminist organizations, and local communities and villages. Proposals, goals, and strategies are developed through these consultations and deliberations; and the ultimate policy package is intended to represent a synthesis of the insights and claims of the various groups involved in the process. So the process represents a practical illustration of the approach advocated by Crocker. Why is a deliberative process along these lines appealing? First, it captures a set of social ideals associated with Rousseau and Marx about the value of individuals and groups self-constituting their goals and values through reflection and deliberation. Rather than the World Bank or the OECD Development Assistance Committee imposing a set of goals on a country or region (liberalization, more rapid urbanization, improvement of markets), the people of the region should have the opportunity and responsibility of setting their course and choosing the strategies they will pursue. Development should proceed through a process of local self-determination, and such a process is itself an intrinsic good. Second, there is the idea is that the goals chosen through such a process will be in better alignment with the needs of the region, and will be better embraced by the people affected, because they have been refined and chosen through a deliberative, democratic process. Policies developed through a democratic process have a greater level of legitimacy with those affected by the policies. This set of values suggests several institutional features: decentralization of decision-making, massive consultation, and a requirement of equality among citizens. Can we be confident that such a process will work well to reform society and reduce poverty and inequality? Ramachandran highlights one obstacle to this process in the interview posted above: the fact of extreme inequalities of wealth and poverty in rural India. But if the social setting is one of great inequalities between landlords, tenants, and landless workers, then to what extent can the requirements of democratic deliberation take place? Ramachandran argues for the necessity of agrarian reform (land reform and caste reform) as a necessary precondition for just economic development in India. Decentralization of decision-making raises another potential problem -- the myopia of the local. A development plan that may be best for West Bengal as a whole may be undesirable to many communities; so how can we expect the process of deliberative democracy to arrive at a good outcome for the state as a whole? (The collapse of the Tata Motor Nano project in West Bengal perhaps illustrates this possibility.) And the massive consultation involved in this ideal poses its own problems of practicality. Can we be confident that such a process will come to a resolution, or will debate continue indefinitely? David Crocker's focus on the importance of the values and practices of deliberative democracy within the development process is an important step forward. It helps to make more tangible the implications of the capabilities approach for specific development challenges; and it gives substance to the priority that Sen and Nussbaum accord to "freedom" as a central development value.